Thomas Jelinek is a stage director, dramaturge, video- installation- and concept artist. Born in Stockholm. He has created video- and other installations, music performances, architectural projects and also works as a director in tv-productions and as a curator. In this context he realized a number of east-west connecting transdisciplinary art projects. One focus of his artistic work is on space and perception, resulting in installations of contextual spaces and conceptional communication scopes which create performative qualities. Interventions in public spaces and production of discourse zones as theatrical processes as well as stage-design and light-concepts for theatre and art spaces are part of his work. As a stage director he has realized various performance, opera and theatre projects in Austria, Germany, Switzerland, the Netherlands and France and has worked as a dramaturge for various dance productions. He was co-founder and director of MESSING network. From 2000-2008 he was chairman of IG Kultur Vienna (association of independent artists and cultural organizations/Vienna). 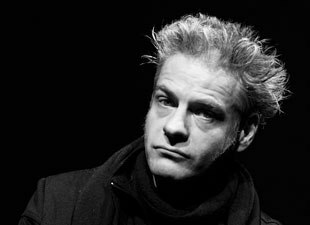 In Vienna, he founded NOMAD theatre in 2000 and the LABfactory in 2003, where he is artistic director. He is co-founder and member of Liquid Loft. He has been teaching amongst others as guest professor at Willem de Kooning Academy in Rotterdam.